Welcome to my review of the William Sound Pocketalker Personal Amplifier system. I know, it sounds like a mouthful, but after seeing what this amazing device can do, I felt the need to do a review on it. Before I continue, I would like to clear up something with you first. Though the main purpose of this site is to discuss management and lifestyle strategies to improve tinnitus, I thought that from time to time, it would be appropriate to diversify on the topics that I discuss. I have had a lot of people asking me to write about ways of improving/maintaining their hearing and the do’s and don’t of ear care. With the close relations between hearing loss and tinnitus, I feel the need to expand upon subjects that offer help to those within the hearing loss sector. As you all may know, that I am a pharmacist by profession. Having said that I strongly recommend that before you try any product that I suggest, I urge you to first seek the counsel or advice of a doctor or an audiologist. The product that I have reviewed below is not meant to replace or substitute the use of hearing aids, if you are already wearing one. What is the Purpose of a Tinnitus Masker? A tinnitus masker aids to mask out the ringing, whistling and roaring noises that one is constantly bombarded with by having this condition. The main purpose of which is to allow the individual to hear the conversation that is taking place with the minimal amount of struggles or frustration. For today, I would like to bring to your awareness this particular hearing amplifying system. as a substitute for a Hearing AID. So, Why am I recommending it ? SIMPLE!!! So that it may HELP improve your Hearing. I believe that this product has the ability to do this. To boost one’s confidence by improving their hearing capability, via amplifying the sounds. So, lets take a closer look at this device. Before I continue with the review of this product, I would like to bring to your attention of the fact that there are two units of Pocketalkers, the Pro and the Ultra version. For the purpose of this review, I will talk soley about the Ultra Unit. Principally because it is the more common of the two and the more superior product. Watching television or listening to the radio. 3. Easily adjustable volume and tone control– Allows one to customize the hearing sounds according to the environment. 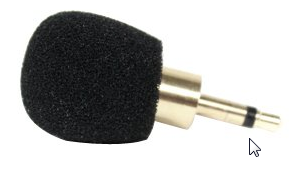 Sensitive Microphone- Makes picking up sound easy from surroundings. 12-Foot Extension Cord- allows one to adjust the Pocketalker during Television watching and easily strapped onto the belt of the wearer. Allows hearing aid user with T-coil to use the Neck neck loop Version. Automatic Gain Control(AGC) -Automatically reduces the volume when exposed to high noise levels. Not tailor made for everyone. No moulding or assessment done as with Hearing Aid Fitment procedures. What do the customers say about it ? As I mentioned above this product provides some excellent hearing support for people really struggling with their hearing. This includes the elderly who are suffering from mild to moderate hearing losses. This product certainly delivers on helping out with the hearing. Candidates with mild, moderate and some even with severe hearing losses may gain benefit from using this device. The functionality of tone control, allows one to adjust to accommodate frequency settings in different environments such as when in the car. By selecting the low frequencies, all one would hear is the external noises outside the car, whereas switching to high frequencies would allow one to partake in conversations taking place within the car. As I mentioned in the cons, the headphone is of a mediocre quality. 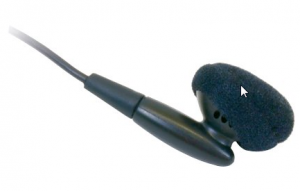 If you browse through some of the reviews, you will find that a lot of the folks end up purchasing different sets of ear buds or plugs as a substitute for the one that accompanies the unit. Another common complaint is the microphone. As the unit is placed within the pocket or strapped to a belt, some customers complained of additional noises heard as the microphone is brushed on the shirts or garments.Though, not much of a big problem this can be sorted out with switching to a lavalier microphone with an alligator clip. Whether you 80 or 18years of age, if there is a device that can help to improve your hearing, I would say give it a go! It may be all you would ever need. Looking at other technological advances, it can offer a cheaper option to those in need. Yes, it is not a hearing aid or a masker, but if it can offer you the ability to hear the people who are talking to you, over the underlying and annoying tinnitus, then this Pocketalker has done its job. It’s all about trying different things to help you manage a better life living with hearing losses or tinnitus. I thank you for joining me today and hope that the article has helped you in some way. 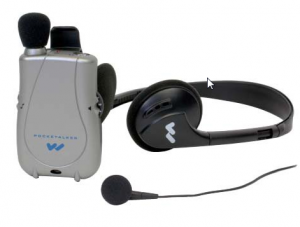 Would you give the William Sound Pocketalker Hearing Amplifier System, a try? Have you tried it before? If you have we would love to hear all about your experiences with this product? Please feel free to share this article with friends or family or anyone who you think will benefit from reading it. ← How to treat Tinnitus Naturally? Good article. I have a question the William Sound Pocketalker Personal Amplifier system is available now? I mean, of course is available, but what about the use we can make? Recently I stop to use my last cellphone because the system, applications, etc, don’t work for it anymore, I had a very old cellphone. What about this product? Is still useful? I think it really depends on you and your circumstances. I have difficulty hearing and am desperate to try things out. It can be quite de-motivating and depressing if you constantly find yourself struggling to pick up on conversations or following through a program on TV. So, this product does the job for me and helps me and that is all that is important. Yes, there are other products out there, sometimes it about going along with what your gut is telling you. I just bumped into your site and had a quick go on your very informative article on the William Sound Pocketalker Personal Amplifier system. As having been brought up in a hearing impaired environment, I found this post really useful. I will definitely bookmark this page and give the product a closer look. Hope everything goes well on your side. Hi Roopesh … Just know about Tinnitus. My in-law may be suffering from this, she’s 80 now. I will need to bring her to an ear doctor after reading your posts. Thanks for posting about it. I am thinking if this device can be used for people without tinnitus as well. It’s a hearing amplifier and logically it should be able to improve hearing for the aged. Will check it out and see if can get one for my in-law just in case if she does not have tinnitus. But she does complain when she goes to malls and restaurants at the times when we bring her out. She gets very stressed out in public areas. Thanks again … Apeng. Sorry to hear about your in-law’s plight with the hearing. Yes, this device had helped a lot of people who have hard of hearing and I think at the end of the day, its about the quality of life. I know the feeling of not been able to hear, be in public or private settings, it can really stress one out. Thanks for the comments regard my vetigo. I do not have HBP, will have to check the other issue you mention about. Its a pleasure, if there is anything else you need to know,just give me a shout.